We offer in-home services to clients with limited mobility and seniors living in a residence. We offer a full range of services at our denturology clinics in Delson and Châteauguay. With the latest technology, we make complete or partial implant or non-implant dentures (metallic, hygienic, etc. ), removable prostheses, occlusal plates and other dental devices. We strive to serve our clients with great care, precision and professionalism in order to meet their expectations and to provide them with services tailored to their needs and situation. Often referred to as dentures, complete dental prostheses provide toothless patients with a comfortable and durable replacement solution. Commonly referred to as bite plates, occlusal plates are used to rectify various dental and global health problems. A mouthguard is used during an intense physical activity or a contact sport such as hockey, football, boxing or other. Having your removable dentures relined will extend their useful life. After many years, you might have noticed that your dentures are not as properly fitted and comfortable as they once were. Are your dentures or dental device broken or damaged? The Caroline Marsan denturology clinic provides quick and effective repair services. The Caroline Marsan denturology clinic offers a mobile service to meet the needs of our clients with limited mobility that are unable to travel to our Delson or Châteauguay denturology clinics. Caroline Marsan inherited her father’s passion for denturology. Ever since she started her career in 1989 in her hometown of Delson on the South Shore of Montreal, she has continued to put in the same attention and professional work into the services she provides. She can serve her clients in French, English and Spanish. Originally from Delson, Caroline Marsan has worked as a denturologist on the South Shore since 1989. Her passion was given to her by her father, denturologist Denis Marsan, a pioneer of this profession in Quebec. The Caroline Marsan denturology clinic is a member in good standing of the Association des denturologistes du Québec and the Ordre des denturologistes du Québec. The clinic complies with all the standards currently in force and stays abreast of the latest developments in denturology. This way, the clinic is able to ensure reliable and outstanding quality services to its clients. 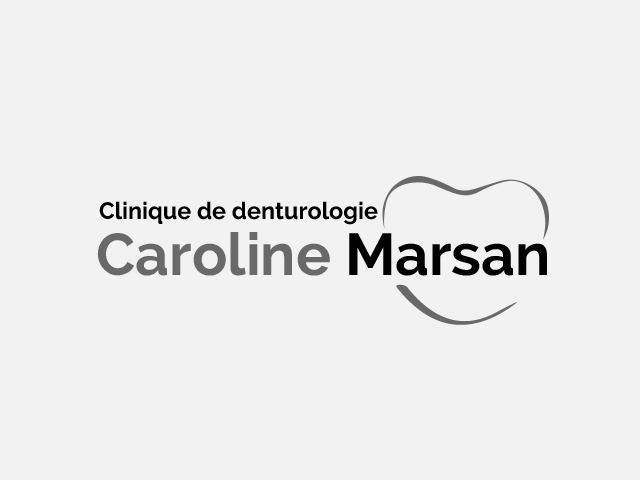 © 2017 Clinique de denturologie Caroline Marsan. WordPress website design by Vortex Solution.